This organization is incorporated under the laws of the State of Kentucky and will be known as the Liberty/Casey County Chamber of Commerce. Herein this corporation will be referred to as the chamber. The chamber is organized to advance the general welfare and prosperity of the citizens and business community in Casey County. All necessary means of promotion shall be provided with particular attention and emphasis given to economic, civic, commercial, cultural, industrial and educational interests. The chamber will concentrate its efforts within the geographical area of Casey County, Kentucky, including the City of Liberty and any other towns, villages or unincorporated communities within the county. 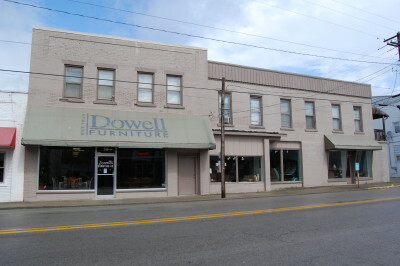 The principal office of the chamber will be within Casey County, Kentucky, with the specific address to be as from time to time designated by the Board of Directors. The chamber shall observe all local, state and federal laws as apply to non-profit corporations as defined in Section 501(C)6 of the Internal Revenue Code of the United States. Any person, association, corporation or estate having an interest in the objectives of the chamber may apply for membership. Applications for membership will be in writing on forms provided by the chamber for that purpose, will be signed by the applicant and accompanied by a check for the initial year’s membership dues in such amount as is, from time to time, set by the chamber. The president, or other person or any membership committee as may be designated, shall review all applications and submit them to the Board of Directors with a recommendation. Approval for membership will be by a vote of two thirds of the members of the Board of Directors at any meeting where there is a quorum of the board present. 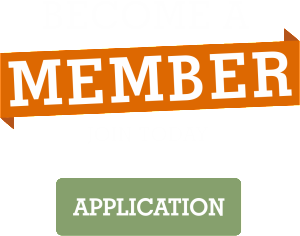 Membership dues will be in an amount prescribed by the Board of Directors and are payable annually in advance. Member entities, other than individual members, will designate a person to represent the entity at chamber functions. The individual so designated will exercise voting privileges on behalf of the member entity. In any meeting of the general membership each member in good standing is entitled to one vote. A member may resign from the chamber by giving written notice to the Board of Directors. A membership may be terminated for non payment of dues after ninety days from the due date, or for conduct unbecoming a member or prejudicial to, or incompatible with, the aims and objectives of the chamber, by a two-thirds vote of the Board of Directors at any regular or special meeting where a quorum is present. Notice of the board’s action will be transmitted to the member by certified mail. The board may consider an appeal from any member whose membership has been terminated. An appeal is to be filed within thirty days of receipt on notice of the board’s action by the member. The annual meeting of the general membership of the corporation will be held during the month of October at such time, date and place within Casey County as the Board of Directors may specify. Ten days prior written notice of such meeting will be provided all members. Regular meetings of the general membership of the chamber will occur at such time, date and place in Casey County, as the Board of Directors may specify. Timely notice of such meetings will be provided all chamber members. Special meetings of the general membership will be set upon the written petition of not less than ten percent members of the chamber membership or upon the vote of a majority of the members of the Board of Directors. Ten days prior written notice of such special meeting, to include a statement of the purpose of such meeting, will be provided to all chamber members. Regular meetings of the Board of Directors will occur at such time, date and place in Casey County, as is specified by the president of the chamber, but in no event will such meetings be held less than quarterly. Timely notice of such meetings will be provided all members of the Board of Directors. Special meetings of the Board of Directors will occur at such time, date and place in Casey County, as is specified by the president of the chamber or upon the written petition of not less than fifty percent of the members of the Board of Directors. Five days prior written notice of such special meeting, to include a statement of the purpose of such meeting, will be provided all members of the Board of Directors. If, in the opinion of the president or petitioner, the purpose of the meeting is such that shorter notice is required, telephone notice to all members of the Board of Directors will suffice. A quorum at any regular or special meeting of the general membership will be ten percent of the members in good standing. A quorum at any regular or special meeting of the Board of Directors will be fifty percent of board membership. Quorums will be certified in writing by the secretary. The Board of Directors is responsible for establishing procedure and formulating policy for the chamber. The authority of the board is in accordance with, and is limited by, the articles and the by-laws of the corporation and the laws of the State of Kentucky, as all may be from time to time amended. Unless otherwise indicated in the notice of the meeting, any and all business may be transacted at any meeting where a quorum is present. The Board of Directors will consist of not less than seven and not more than fifteen members. Directors will be elected to a four year term with one fourth of the terms to expire each year. Directors may serve two consecutive terms, after which there must be a one year absence from the board. Ninety days in advance of the annual meeting of the general membership of the corporation, the president will appoint five chamber members to a nominating committee. The membership of this committee will be made up of two members of the current Board of Directors, two persons who are general members, and not current members of the board, and the current vice president who will act as chairman of the committee. The committee will meet not less than sixty days in advance of the annual meeting to nominate a slate of candidates to fill all expiring board terms as well as any additional vacancies as may exist. The committee will submit the list or nominees to the president not less than forty-five days prior to the regular annual meeting at which time the general membership may submit the names of additional nominees. All submissions from the general membership are due not later than thirty days prior to the annual meeting of the corporation. Prior to finalizing the list of candidates, each person under consideration will be contacted to determine their willingness and availability to serve if elected. Not less than twenty-five days prior to the date of the annual meeting, ballots will be mailed to the general membership which ballots will include a biographical sketch of each candidate. Ballots must be returned by the general membership to be received at the chamber office not less than five days prior to the date of the annual membership meeting. Ballots received after that date will not be counted. The newly elected members of the Board of Directors will be announced and assume their duties at the beginning of the calendar year. Any vacancies as may exist or occur on the Board of Directors between regular elections may be filled by presidential appointment subject to approval by the Board of Directors. The name or names of persons chosen by the president to fill such vacancies will be submitted to the existing board of directors who will have ten days within which to approve such selection. Should a majority of the board, for good cause shown, find the nominee unacceptable, the board will, by majority vote, select a replacement nominee to immediately fill the vacancy. Priority in all such appointments or nominations will be given to persons whose names were included on the next prior slate of board member candidates, but who did not receive enough votes to entitle them to board membership. Consideration will be in descending order from the next highest number of votes received. A member so appointed will fill the remaining term of the board member he or she replaces. Failure of a board member to attend at least seventy-five percent of properly scheduled meetings of the Board of Directors will result in the termination of the offending member’s position on the board. The board may, however, excuse a member’s absence for good cause. The board has the authority to appoint ex officio members to the Board of Directors. Such ex officio members may, but are not limited to, the serving mayor of the City of Liberty and the Casey County Judge Executive . Ex officio members of the board will have no voting rights but will be involved in discussion of projects and planning related to chamber activities. The ex officio members will be notified of all board meetings. The term of such members will be at the pleasure of the Board of Directors. Fifty percent of the Board of Directors, excluding ex officio members, will constitute a quorum for the transaction of business. The quorum will be certified in writing by the president in the minutes of the meeting. Ninety days before the annual meeting of the chamber, the vice president, as president elect, will propose a slate of officers for the upcoming year. The slate so proposed will be approved by the board unless, for good cause shown, a member or members of that slate are unacceptable to the majority of the Board of Directors. In such event the Board of Directors will select a chamber member to replace the proposed officer who, by majority vote of the board, will assume the subject office. Such process is to be concluded not less than sixty days prior to the date of the annual meeting of the corporation. All officers will serve a term of one year and will assume their offices at the beginning of the calendar year. All officers must also be members of the Board of Directors. The president will be responsible for presiding at all meetings of the membership, the Board of Directors and the executive committee.. The president will also be responsible for establishing any and all committees and the appointment of committee chairman and for the carrying out the business of the chamber. All actions of the president are subject to the approval of the Board of Directors and are governed by the articles of incorporation and by-laws of the chamber and by the applicable statutes of the State of Kentucky. The vice president will exercise the powers and perform the duties of the president in the latter’s absence or disability, will be the president elect of the chamber and chairman of the nominating committee. The secretary will be responsible for maintaining all of the books and records of the corporation but for the financial records which are the responsibility of the treasurer. The secretary is also responsible for the maintenance of records of the various committees as may be appointed at and after such records are delivered to the chamber. The treasurer will be responsible for safe guarding and accounting for all funds received by the chamber and for their proper disbursement. The treasurer will prepare a monthly financial statement for presentation to the Board of Directors. SECTION VI. MANAGEMENT The Board of Directors shall select and hire an Executive Director whose salary shall be decided upon by the Board of Directors. The duties of the Executive Director shall include but not be limited to, day to day operation of the corporation, ex officio membership on all committees, assisting in the development of a yearly operating budget, engagement of members and other duties as assigned by the Board of Directors. Actions of all officers are subject to the approval of the Board of Directors and are governed by the chamber by-laws and articles of incorporation and the applicable laws and statutes of the State of Kentucky and the United States of America as all may be from time to time amended. All officers further serve at the pleasure of the Board of Directors. All monies received by the chamber will be placed in a general operating account maintained in a financial institution approved by the Board of Directors and located in Casey County, Kentucky. Unused funds may be placed in a reserve account. The fiscal year of the chamber will be January 1st through December 31st. The executive director will prepare a proposed chamber budget for the ensuing year to be presented to the Board of Directors at their regular current year December meeting for review, approval and adoption. The executive director will be assisted in the preparation of the proposed budget by the current treasurer and by such other persons as the board may direct. The treasurer will provide the Board of Directors with a review of the chamber’s finances for the current fiscal year to be presented at their regular December meeting. The Board of Directors may order such further action as may be deemed appropriate. Financial reports and budgets will be maintained by the treasurer at the offices of the chamber and will be available for review by chamber members during regular business hours. The Board of Directors may require the president, treasurer and such other individuals as the board may deem appropriate to be bonded. The premium for any such bond will be paid by the chamber. In the event the last day of any time period set forth in these by-laws should fall on a Saturday, Sunday or legal holiday, then, in that event, the last day of the time period will be the next full business day following such Saturday, Sunday or legal holiday. In the event of the dissolution of the chamber, the Board of Directors will specify that any funds remaining in chamber accounts will be distributed to one or more regularly organized and qualified charitable, education, scientific or philanthropic organizations as defined in Section 501(C)(3) of the Internal Revenue Code of the United States. The current edition of Roberts Rules of Order will be the final source of authority in all questions relating to parliamentary procedure so long as such rules do conflict with the chamber’s by-laws or articles of incorporation nor with any governing statute of the State of Kentucky or the United States of America. These by-laws may be revised, altered or amended by a two-thirds vote of the membership present and voting at any regular or special meeting of the general membership of the chamber. Any such proposed modifications will be provided to the chamber members in writing at the meeting at which they will be submitted for consideration and adoption. For more information please contact us or call 606-706-9694.